You go girl! 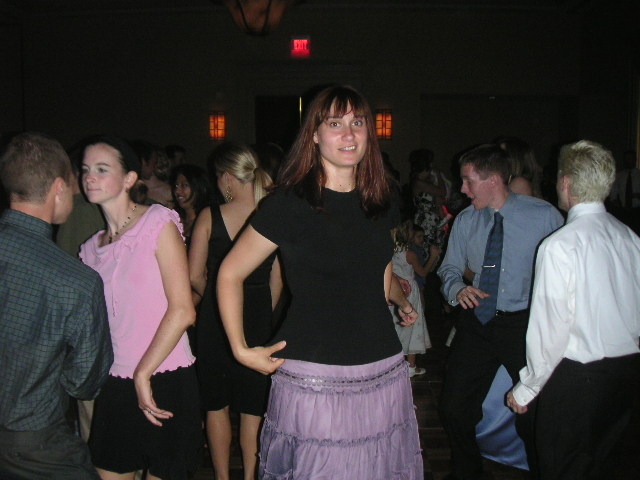 Dancing was made for wedding receptions, and it's a wise woman that takes advantage of the opportunity. WHOA WHOO I made the blog! Accidental as it may be, I'm still very happy with this. 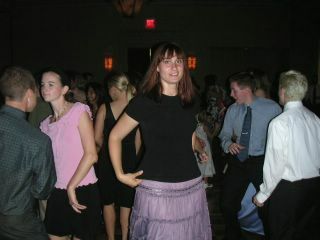 I seem to be doing a poor impression of MC Hammer just behind dancin Rachel. If I could do it all over again, Chris, I would have taken video for you to post of the misses and you during "Come on Ilene". That was something everyone could enjoy. Good times. My aerobic 80s dance/skank is to be feared. The oddest thing about this picture is that she appears to be at least a foot taller than everyone in the room. She's tall, but from this picture you would assume that she is 6-foot-7.